His Mother saw to it that he would safely board the train on East 14th St. 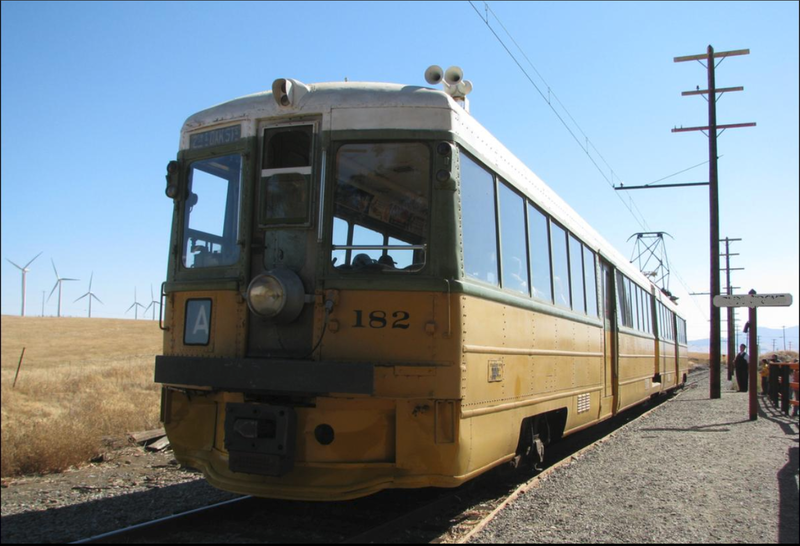 It wasn’t a steam or diesel locomotive train, it was a Oakland Transportation Key Systems electric train that transported passengers from Oakland to San Francisco via the Bay Bridge. 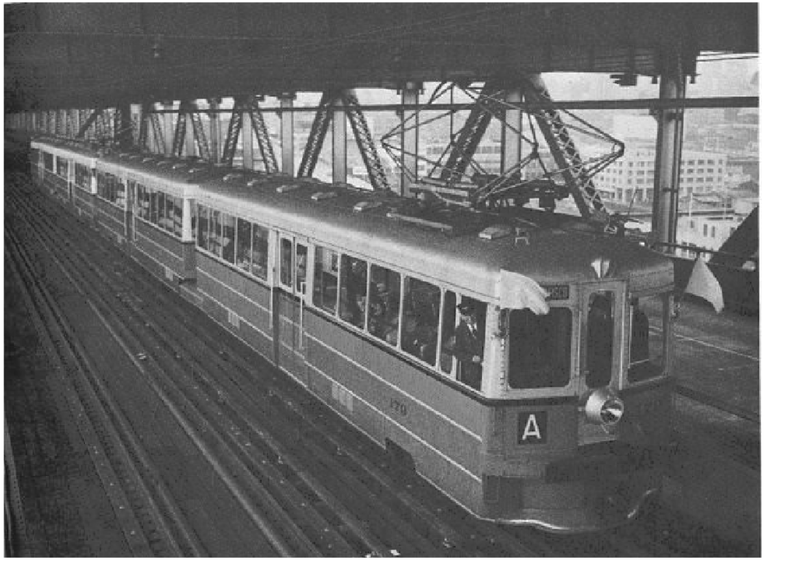 The boy having been aboard the train before, always referring to this four car conveyance as the ‘A’ train because of the large letter ‘A’ displayed on the front of the first car. The beginning of another journey to visit Aunt Alice in San Francisco, but this trip was to be different from the others, his Aunt would not be waiting for him at the Transbay Terminal in San Francisco when he disembarked from the train. This would be the first time young Mike would venture through the Twin Peaks Tunnel across the expanse of San Francisco alone to visit his Aunt. There was a slight aura of ambiguity as he boarded the front car of the ‘A’ train, but immediately giving way to a wave of euphoria. He couldn’t believe his eyes, an answer to prayers, a dream come true, a miracle, the unbelievable having happened, the very front seat of the train, the one on the left side across from the driver was empty and he would be able to gaze at an unobstructed drivers view of the tracks. Hallelujah! Mike had been hoping for this to happen since his first trip on the train, hurrying to the seat, setting down, gazing at the remarkable view in front of him. The journey beginning, the train smoothly moving forward, he was in the driver’s seat, keeping notice of the traffic signals and watchful eye on the traffic negotiating around him as he mentally navigated his transport down the tracks. Approaching a loading area, stopping so the waiting passengers could board, then continuing on. As he journeyed thru Oakland towards the bay, a recognizable structure appeared, raising up as a testament to an engineering marvel, the Oakland, San Francisco Bay Bridge, the train gliding onto left side of the lower deck. The boy was hoping for an encounter, to pass an oncoming train would be impressive, but to no avail. The next stop would be TI, Treasure Island Naval Station, the train coming to a halt at the lighted station tunneled beneath Yerba Buena Island. The excursion vehicle motionless waiting for the Navy personnel to disembark or board, its mission fulfilled, the train pushed onward leaving the station to emerge from the tunnel into the daylight on the San Francisco side of the Island. Continuing towards the city, listening to the clicky-click sound of the wheels on the tracks, the breath-taking unobstructed driver’s view was an experience that Mike would never forget. 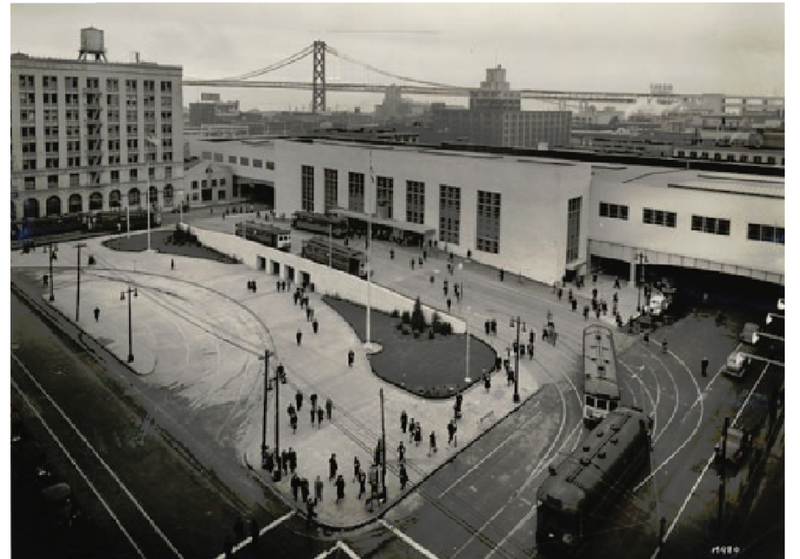 The “A” train began crossing the Embarcadero on the elevated tracks heading southwest, soon making a sweeping “S” turn between Folsom and Mission Streets, arriving at the upper level of the Transbay Terminal. Mike looked over to his right at the uniformed man sitting at the levers in the driver’s compartment, the operator turned looking at him smiling, extending a thumbs up. 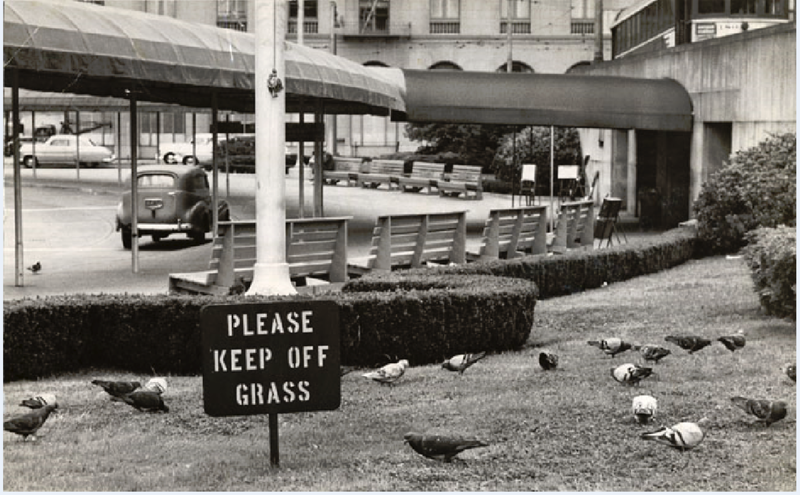 The Terminal a haven for pigeons. Mike knew his way, he had traversed this many times with his Aunt. He descended from the upper level and continued his way down to the outside turnaround. 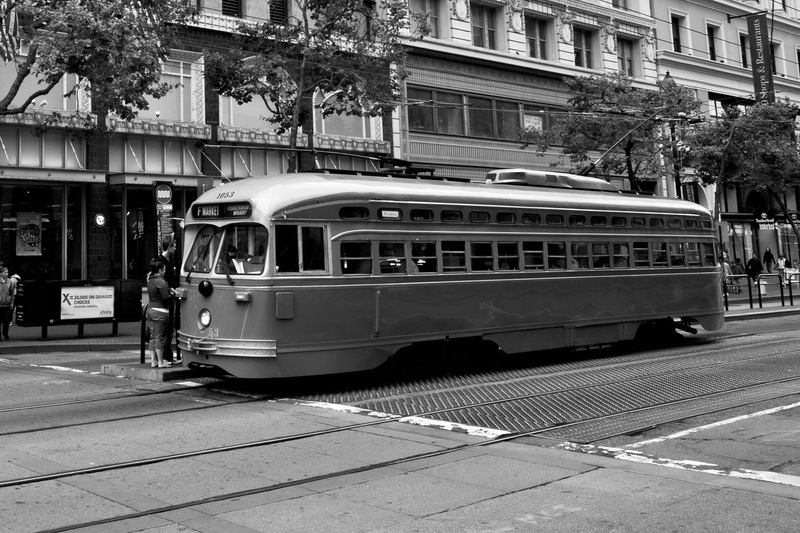 It was here where the Muni electric street cars from various divergence would renew their destination and once again set out on their route to deliver their occupants. The most impressionable attribute besides stepping into the cool San Francisco air was the congregation of well fed pigeons assembled. 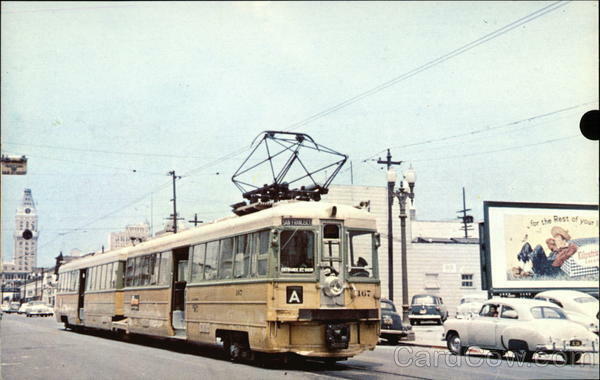 They fluttered among the steady stream of electric street cars and passengers coming and going. The young traveler waited for the “K” car which would send him on his way to his destination. 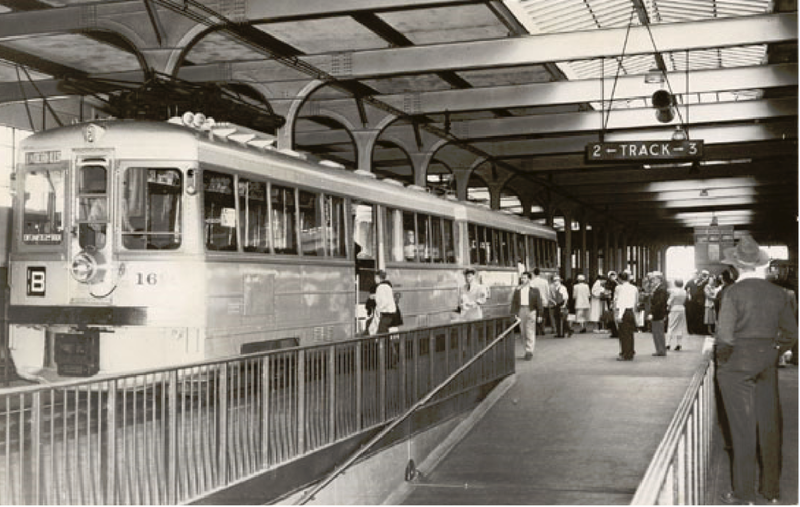 Boarding and leaving the terminal area , the street car crossed Mission St. and turned with the tracks going up Market Street towards the Twins Peaks Tunnel. Crossing Castro St the “K” car entering the tunnel, the 2 1/4 mile trip thru the tunnel having two station stops, Eureka and Forest Hill. Mike enjoyed traveling into the unknown, and as a young lad on a street car entering a darken tunnel, there was always a possibility that something exciting would happen, but as usual it didn’t. 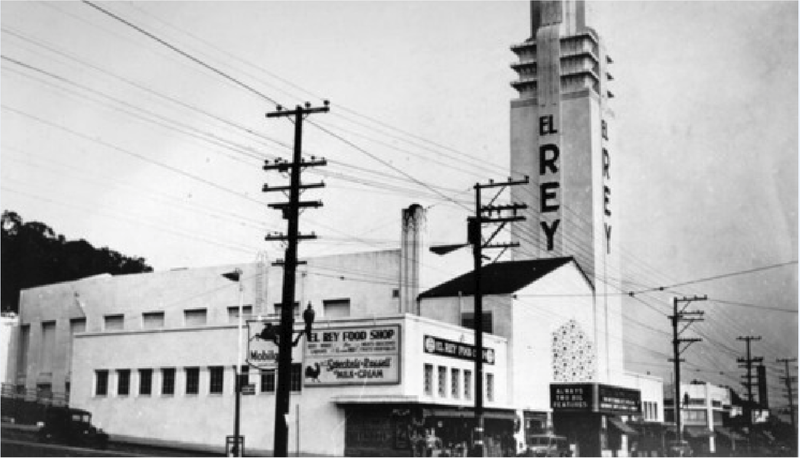 The El Rey Theatre on Ocean Ave. This entry was posted on June 14, 2017 at 2:13 am and is filed under Uncategorized. You can follow any responses to this entry through the RSS 2.0 feed. You can leave a response, or trackback from your own site. I’m impressed! After reading your post I can tell you are well-informed about your writing. If only I had your writing ability. I look forward to more updates and will be returning.Cheers! Thank you for your comment. It’s fun reliving and writing about these past events in my life. I hope to share many more. Thank you for your comment….Take the “A” train was a memory that I will always remember….I do welcome you to share my lifes experiences. Hope you continue to read inquisitive quest.